Miss International is a Tokyo-based international beauty pageant organized by The International Culture Association. The pageant was first held in 1960. 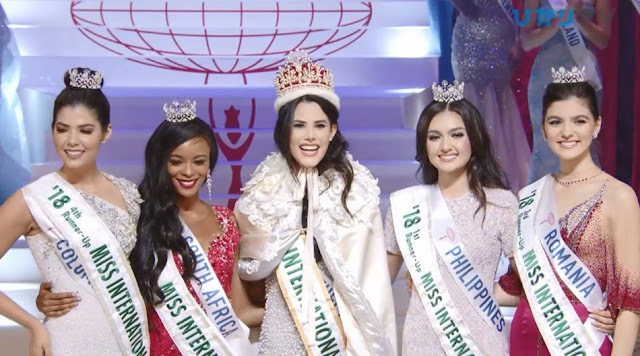 Miss International is the fourth largest pageant in the world in terms of having crowned national winners to participate in the international contest. As part of the competition, the Top 8 beautiful ladies were called to make a speech for their aspirations and desires if they win the title to be crowned as our next Miss International. Miss Venezuala was crowned Miss International 2018, after that heartwarming speech she gave to promote free access to books for every children in the most unfavorable places.